HOUSTON, December 28, 2015 – Sentai Filmworks is pleased to announce its latest acquisition, Undefeated Bahamut Chronicle as part of its Winter 2016 anime season lineup. Based off the original light novel by Senri Akatsuki and illustrated by Kasuga Ayumu, this series follows a young man named Lux, the former prince of Arcadia. After an accident in the bathing area lands Lux in hot water with the kingdom’s new princess, Liseshart, he finds himself forced into a duel that pits mechanical weapons against each other. Little does he know what else lies in wait when he has to join the school that trains the wielders of these ancient weapons. Animation production will be handled by Lerche (Re: Hamatora, Monster Musume: Everyday Life With Monster Girls) with Masaomi Ando (School-Live!) taking the helm as Series Director. The role of Chief Animation Director will be shared by Mayuka Itou and Keiko Kurosawa, the latter of which is also responsible for Character Design. Yuuko Kakihara (Fairy Musketeers, Persona 4: The Animation, Heaven’s Lost Property) is in charge of series composition, and music is handled by Akito Matsuda (The Kawai Complex Guide to Manors and Hostel Behavior, Sound! Euphonium). 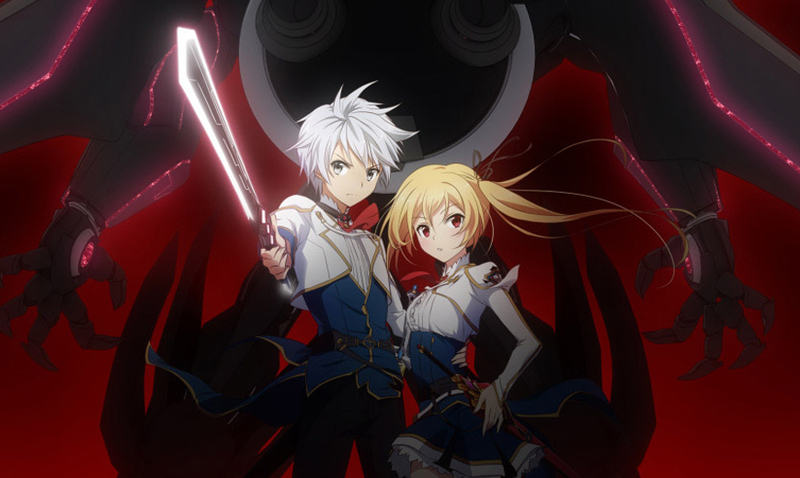 Undefeated Bahamut Chronicle is scheduled for a January 2016 release and will soon be available through select digital outlets with a home video release to follow. Sentai Filmworks curates one of largest and most beloved anime and genre programming libraries, containing thousands of hours of content released across traditional and digital media platforms. With hit series that include Parasyte –the maxim–, Log Horizon, High School of the Dead, Persona 4: The Animation, and Akame ga Kill!, Sentai’s catalogue continues to grow with new favorites like Monster Musume: Everyday Life with Monster Girls and iconic anime series such as Legend of the Galactic Heroes. Visit www.sentaifilmworks.com for more information.